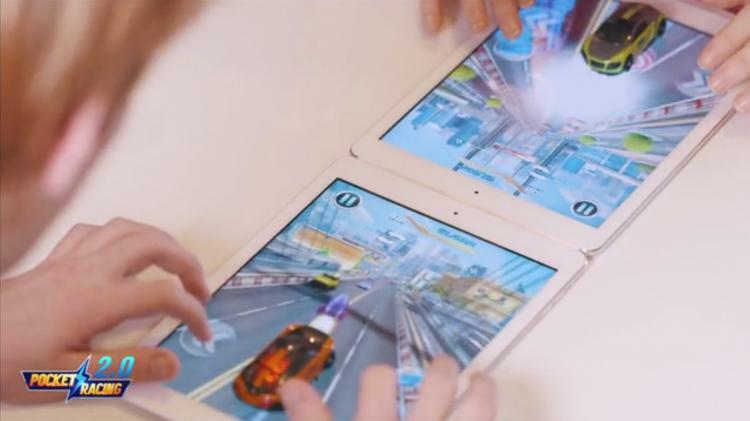 Pocket Racing is a mix between an iPad game and a physical toy car that sync together to create an immersive racing game with real-time feedback to your interactions within the game. Whatever happens in the game, gets mirrored through the race car sitting on the iPad, such as when you turn left, it leans left, when you turn right it leans right, when you get hit, it rumbles, and when you die it jumps up to simulate an explosion. How it works, is there are three pistons inside the car that control all of the feedback within the car, a light sensor is on the bottom of the car that communicates with the game on your iPad, plus on-board circuit boards are there to ensure real-time feedback to your interactions in the game with zero latency. 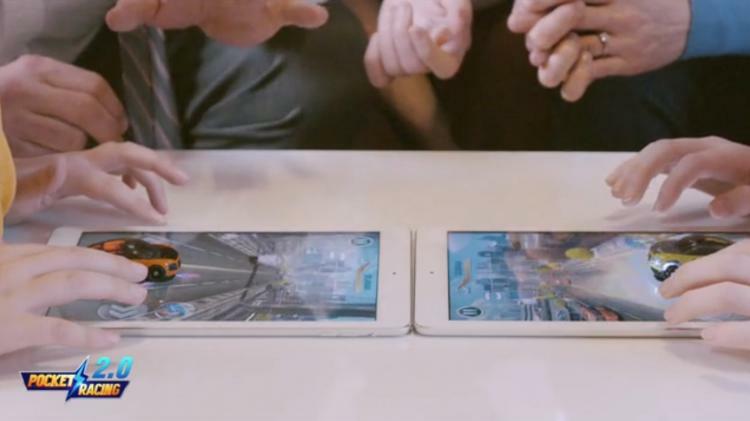 Options within the game allow you to just play a single player game with yourself, or you can play multi-player mode via face-to-face with a second iPad and Pocket Racing car, or remotely through the internet either with your friends or strangers. The Pocket Racing real-time toy car iPad game is currently in a funding phase on Kickstarter with an estimated delivery date of August 2016, so go reserve yours now, or get more information on their website, and be sure to check out the game in action via the video below.